Asheville BookWorks continues Vandercooked Poetry Nights reading series that offers the public the opportunity to print letterpress broadsides at the series events. The broadside printed at each event displays a poem written by the evening’s spotlighted poet. Hosted by BookWorks founder and director Laurie Corral, and poet Landon Godfrey, the event is free and open to the public. The print is available for the nominal price of $10 that evening and $20 after that evening. The reading is free to the public. 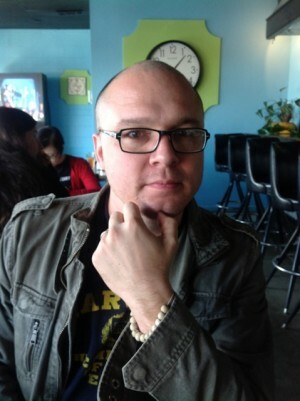 Matthew Olzmann is the author of Mezzanines (Alice James Books 2013) which was selected for the Kundiman Prize. His writing has appeared in Kenyon Review, Brevity, New England Review, Poetry Northwest, Gulf Coast, The Southern Review and elsewhere. He’s received fellowships and scholarships from the Kresge Arts Foundation, The Bread Loaf Writers’ Conference, and the Kundiman Retreat for Asian Americn Writers. Currently, he is a Visiting Professor of Creative Writing in the undergraduate writing program at Warren Wilson College and co-editor of The Collagist.